Nutanix integrates compute, storage, virtualization and networking to run nearly any application with the agility and simplicity of the public cloud and the security and control you expect from a private cloud. Got cloud questions? We've got cloud answers! Feeling a bit foggy on the differences between private, public, edge, distributed, hybrid and other clouds? Nutanix has compiled the top 20 questions about enterprise cloud and cloud infrastructure in this quick, digestible guide. Run nearly any application at any scale. Reduce your licensing costs with server, networking and storage with built-in virtualization. No separate SAN/NAS needed — eliminate standalone storage costs while lowering virtualization costs by up to 80%. Deploy out-of-the-box in 60 minutes or fewer on your choice of servers, including Dell EMC, Lenovo and IBM. Simplify end-to-end infrastructure management through a consumer-grade experience with one-click simplicity. Prism analyzes system data using advanced machine learning technology to generate actionable insights for optimizing virtualization and infrastructure management. Get intelligent insights into capacity usage with precise optimization recommendations with early warning signs of performance issues in VMs. Deploy applications easily into public or private clouds, and simplify set-up and management through easy-to-use blueprints. Manage and log user activities based upon role permissions for end-to-end traceability and to aid security teams. Automate provisioning of hybrid cloud architectures, scaling both multi-tiered and distributed applications. Explore insights from 14 leading IT leaders and executives around this evolution. Learn how to deliver automation, visibility, and management consistency in a multi-cloud world. 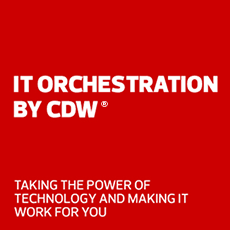 Read how CityServiceValcon leveraged the relationship between CDW and Nutanix to implement HCI.